LOOK out Lightning, the Firebirds are only just warming up. 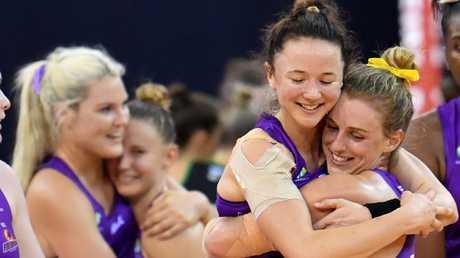 The three-time ANZ Championship winners have their sights set on a first Super Netball title. In their way tomorrow are the reigning premiers, the Sunshine Coast, who they meet in the sudden-death minor semi-final in Brisbane. The visitors lead head-to-head battles 2-1, with one draw, but it is the Firebirds who are in red-hot form. They've won their past four games - beating minor premiers the Giants by 14 goals (64-50), second-placed finisher the Fever by six (60-54), the Thunderbirds by 21 (67-46) and Magpies by a record 32 (76-44). "There's absolutely more to come," Firebirds vice-captain and star wing attack Caitlyn Nevins said. "Finals are a different story. We've got to win every single game to make the grand final. We've got to step up another gear." 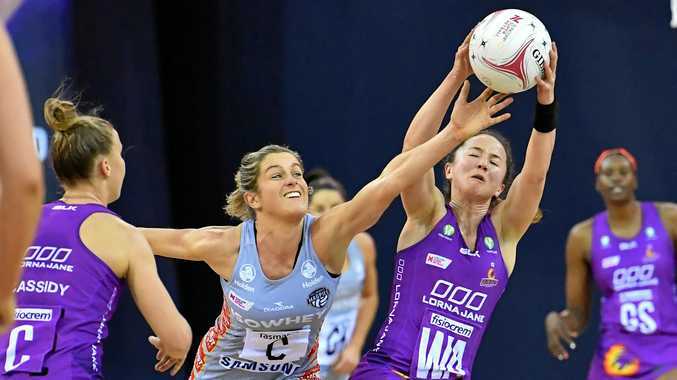 Tomorrow's clash promises to be "a cracker", says Nevins, with the teams' rivalry further fuelled earlier this week by Lightning skipper Geva Mentor labelling the Firebirds "rude". "We have a great rivalry," Nevins said. "The longer the competition is going on the more intense these battles are becoming. "We do want to be Queensland's best team and we need to win this weekend to be able to claim that." Nevins has won two titles with the Firebirds (2015-2016) and one with the Vixens (2014). Six of the Firebirds' 10-player squad from that last premiership will be there in the purple tomorrow. But one who wasn't - Kim Jenner - could be a key to curbing the influence of star Lightning shooter Caitlin Bassett and co. Playing alongside veteran Laura Geitz down back, 20-year-old goal defender Jenner - the game MVP in the final round - has been a powerhouse in the latter part of this season with her intercepts. "Kim's just done a superb job," Nevins said. "She's such a fast, deceiving athlete." The Firebirds have put their title credentials on the table. Having collected a game-high 20 goal assists and 35 feeds in the last Queensland derby, Nevins is anticipating another tough encounter against opposite number Kelsey Browne. "My form this year has been reflective of the Firebirds' - been a bit more consistent and improved as the season has gone on," Nevins said. The Firebirds have the benefit of a home crowd in Brisbane, after snatching third spot and hosting duties from the Lightning last week. 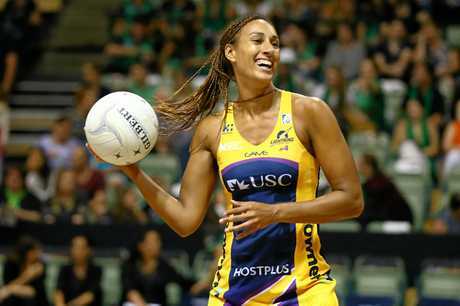 The winner plays the loser of today's major semi-final between the Fever and Giants in the preliminary final. "We love playing at home, we're really lucky. It will give us an edge. It'll be like having an extra person out there on court," Nevins said.